Martu Country is an area of national and global conservation significance. It is part of the most intact arid ecosystem in the world and is a refuge for Australia’s highly threatened desert species, including the iconic Mankarr (Greater Bilby), the Wiminyji (Northern Quoll) and the Mulyamiji (Great Desert Skink). 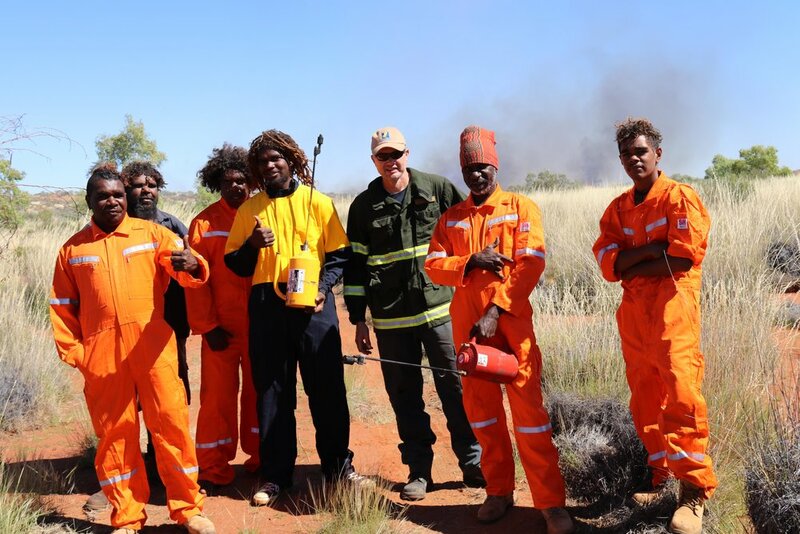 Drawing on pujiman (desert born) knowledge of species habitat and behaviour and utilising Martu bush skills, KJ rangers work in partnership with external organisations to monitor and protect the many important species that occur on their country. 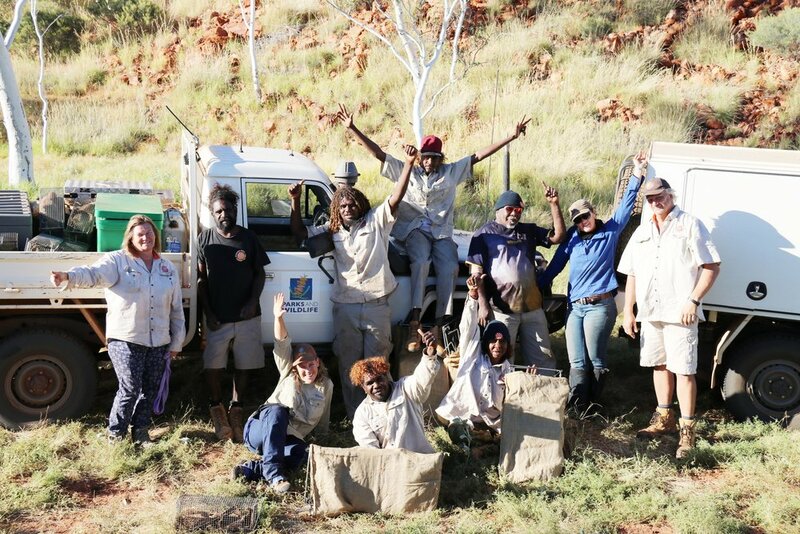 For many years KJ has worked closely with the Western Australian Parks and Wildlife Service (PWS) on several threatened species projects including the conservation of Warru (Black-flanked Rock-wallabies) on Martu Country. The successful translocation of the species from Kaalpi (the Calvert Range) to Pinpi (the Durba Hills) has expanded their range and will hopefully safeguard their future. KJ and PWS have also undertaken extensive and successful surveys for Wiminyji, extending the known range of the species significantly. Surveys for Pilbara Leaf-nosed Bats and Night Parrots are ongoing. New and innovative ways of blending Western science with traditional Martu knowledge continue to be developed and trialled. Supported by The Nature Conservancy (TNC), Martu rangers have worked with Dr Anja Skroblin from the University of Melbourne to create a new Mankarr monitoring methodology. The new method aims to draw on the tracking skills and traditional ecological knowledge of the rangers whilst maintaining scientific rigour and meeting the challenge of monitoring the species over a vast area. Recently, KJ has contributed data from 945 threatened species surveys, collected over a six-year period, for inclusion in the Rangelands NRM Nature Map database. The database aims to map WA’s biodiversity, thus highlighting the conservation value of Martu country and areas in need of protection and management.